Well, the brick wall I told you about some time ago is done! YAY! And I love it. I have to give all the credit to my very talented and very patient husband. I think he did a fabulous job. I would have liked a little more distressing on it, but he had the most difficult time leaving anything on it that, in his opinion, wasn’t supposed to be there. I actually had to have him go back and add some mortar to the bricks to make it look a little older. The “beautiful” crushed velvet rocking chair was my dad’s. He passed away in 1983, but I will never lose the image of him sitting in that chair cracking nuts and watching Gun Smoke. 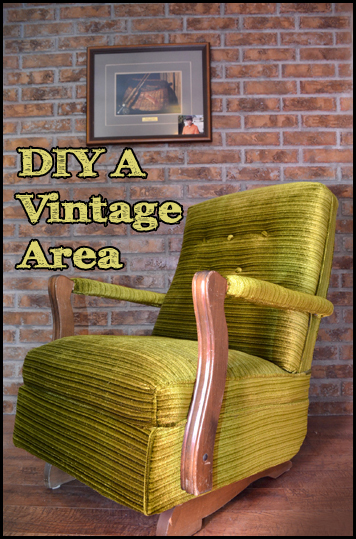 And I will never have this chair recovered, sooo….. thank goodness for our vintage vignette where this 1968 masterpiece can be displayed with honor. 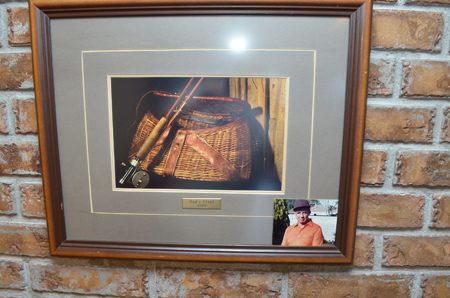 Oh…and the picture of the fishing creel on the wall? That creel was my dad’s, too. I love him!